Want to be notified of new releases in MarkusMcNugen/docker-sftp? Easy to use SFTP (SSH File Transfer Protocol) server with OpenSSH and Fail2ban installed for extra hardening against brute force attacks. Forked from atmoz/sftp. This is an automated build linked with phusion/baseimage. User "user" with password "pass" can login with sftp and upload files to a folder called "upload". No mounted directories or custom UID/GID. Later you can inspect the files and use --volumes-from to mount them somewhere else. The OpenSSH server runs by default on port 22. You can forward the container's port 22 to the any host port. Mount the host path to a folder inside the users home directory. Example shows mounting host upload directory to upload directory in user home folder. Add :e behind password to mark it as encrypted. Use single quotes if using a terminal instead of users config file. Place public keys with the users name in /config/userkeys directory. The keys must be matched with a users names and a .pub extension. These are copied to .ssh/authorized_keys for the user during container start. This container will generate new SSH host keys at first run in /config/sshd/keys. 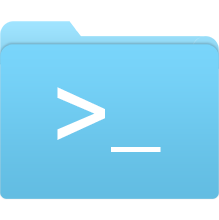 You can place your own sshd keys in this folder and they will be copied to /etc/ssh/ when the container runs. Put your programs in /config/sshd/scripts and it will automatically run when the container starts. See next subsection for an example. If you are using --volumes-from or just want to make a custom directory available in user's home directory, you can add a script to /config/sshd/scripts/ that bindmounts after container starts. mount --bind $3 "$1" "$2"
NOTE: Using mount requires that your container runs with the CAP_SYS_ADMIN capability turned on. See this answer for more information. Note: The time when this image was last built can delay the availability of an OpenSSH release. Since this is an automated build linked with phusion/baseimage, the build will depend on how often they push changes (out of my control). You can of course make this more predictable by cloning this repo and run your own build manually. $ docker build -t sftp .